Thank you for entrusting the care and attention of your pet to the Scott Veterinary Clinic Ltd. This document details our practice terms and conditions. Some aspects may not be relevant to you and we request that you ask for further clarification or explanation if required. 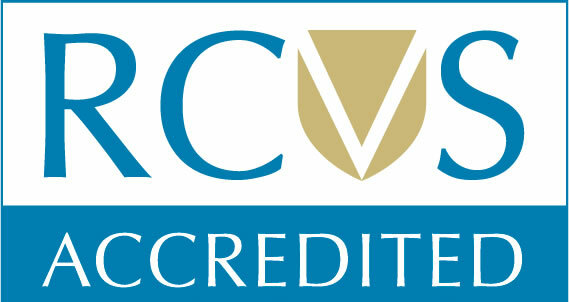 Registration: It is essential for us to maintain accurate records of our clients and patients. In order to do this we will periodically ask you to confirm the details we hold. If your details change, please inform us so we may ensure our database is as up to date as possible. E-mail: From time to time we would like to inform you of current promotions and our quarterly newsletter. This will be sent to the email address you provide us. If you do not wish to receive these mailings please send us an email stating that you wish to be removed from the mailing list. Fees: All fees, diets and drugs charges are subject to VAT at the current rate. Fee levels are determined by the time spent on a case and according to the drugs, materials, consumables and diets used. Methods of Payment: Itemised bills will be provided with every transaction. Accounts are due for settlement at the end of the consultation, the discharge of your pet or upon collection of drugs/diets. You may settle your account using: Cash; Credit/Debit card; Maestro, Solo, MasterCard, VISA, Delta, BACS or via our online shop. Estimates of treatment costs: We will happily provide a written estimate as to the probable costs of a course of treatment. Please bear in mind that any estimate given can only be approximate – often a pet’s illness will not follow a conventional course. We will provide the details of the price of any medicine stocked or sold on request. There is a sign in the reception area detailing the 10 most commonly prescribed medicines. Settlement terms: Should an account not be settled within 7 days, a reminder will be sent. After due notice to you, the client, overdue accounts will be subject to our debt collection procedure and further charges may be levied in respect of costs incurred in collecting the debt: such as court fees, correspondence, court attendance, credit charges, phone calls, etc. Any cheque returned by our bank as unpaid, any card payment not honoured, and cash tendered found to be counterfeit will result in the original account being returned to the original sum with further charges added in respect of bank charges and administrative costs. Inability to pay: If for any reason you are unable to settle your account as specified, we ask you to discuss the matter as soon as possible with a senior member of staff. Pet health insurance: The Scott Veterinary Clinic Ltd strongly supports the principle of insuring your pet against unexpected illness or accidents. Please ask for details about insurance from any member of staff. Please be aware that it is your responsibility to settle our account and then reclaim fees from your insurance company. It is sometimes possible for us to accept direct claims from selected insurance companies under the specific terms of our Standard Procedure for direct claims, available on request. Consent: Written signed consent for procedures is required in all cases of admission to the hospital and any alterations will be agreed prior to action being taken. Consent is also required for the use of medications in species for which they were not licensed e.g. rabbits, rodents and exotic species. In this case a consent form will be provided to allow this to be done without asking for specific permission in each and every separate case. This is required as the majority of veterinary drugs are not licensed for use in small mammals, reptiles, birds, fish, amphibians and invertebrates. We must then use drugs which have a proven activity and efficiency despite this lack of licence. Prescriptions: Under DTI regulations you may request written prescriptions for your pet’s medications and these will be issued subject to a fee. However, you will be responsible for sourcing these medications from a suitable supplier and should bear in mind that delay in the start of treatment may not be in the best interests of the welfare of your pet. Veterinary prescriptions are not covered by NHS charges and you will have to pay any supplier separately for these drugs, which costs will be at their market rate. In circumstances where it is essential to begin treatment immediately then written prescriptions will not be offered. This is most likely to be in the case of injectable medications where a delay would be unacceptable. Written prescriptions will not be issued for similar drugs used in anaesthesia or emergency situations. Complaints and Standards: We hope you never have recourse to complain about the standards of service received from The Scott Veterinary Clinic Ltd. However if you feel that there is something to complain about please direct your comments in the first instance to the Practice Manager, who will guide you through our complaints procedure. 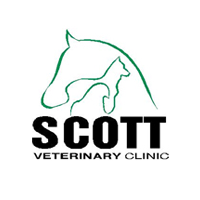 Clinical records: Your pet’s clinical records, including radiographs, ultrasound scan records and laboratory test reports remain the property of The Scott Veterinary Clinic and will be kept under the terms of the Data Protection Act (1998). You are entitled to see the records on request and if necessary an appropriate appointment to view them will be made. Your pet’s records will be sent to another veterinary surgeon on request from them. If you require a copy for your personal use, a charge may be made at the rate for administrative work. Ownership of radiographs and similar records: The care given to your pet may involve making some specific investigations, for example taking radiographs or performing ultrasound scans. Even though we make a charge for carrying out these examinations and interpreting their results, ownership of the resulting record, (for example a radiograph) remains with the practice. Return of unused drugs: We are happy to accept unused medications back into the practice for disposal only. However as drugs which have left the premises are no longer fit for resale, no refund can be given. Drugs purchased from any other supplier will not be accepted for disposal. Repeat examinations: It is necessary both for the welfare of your pet and to meet legal obligations, for this practice to re-examine animals receiving long term medications. The standard interval for medication checks is 3 months; this initially may be less but at no time will be longer than 6 months. The prevailing examination fee will be charged for that consultation. Missed appointments: Regretfully we must inform our clients that we reserve the right to charge our minimum consultation fee for appointments missed without reasonable notice. No addition or variation of these conditions will bind the practice unless it is specifically agreed in writing and signed by one the directors. No agent of person employed by, or under contract with, the practice has the authority to alter or vary these conditions in any way.